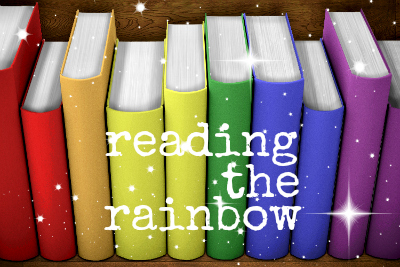 Reading The Rainbow is an original regular feature at Musings From Neville’s Navel. I’m a lesbian bookworm who loves to geek out about books and gay stuff, so why not talk about both subjects at once?! Basically, I review books with LGBTQ+ characters and/or themes, discuss the pros and cons of each, and tell you which stories are worth your time! George thinks she’ll have to keep this a secret forever. Then her teacher announces their class play is going to be Charlotte’s Web. George really, really, REALLY wants to play Charlotte. But the teacher says she can’t even try out for the part… because she’s a boy. Previous Reading The Rainbow posts may be found here. I didn’t feel very well on my birthday – I was exhausted, and I had a headache. I couldn’t seem to make myself focus on my schoolwork for very long. I finally told myself, “SCREW THIS, IT’S MY BIRTHDAY” and took the day off from homework in order to read read READ. One of the books I read that day was George by Alex Gino. Not only did it make me forget about my headache (and general grumpiness), it was an excellent birthday present to myself as well. I love middle-grade novels: They’re short, with simple plots, and often ridiculously adorable. George is all three of those things. I read this book in about… an hour? An hour and a half, tops? It was just what I needed on that day – a cute, lighthearted story that made me GRIN LIKE A DORK multiple times. I loved George – or, to use her real name, Melissa. SHE WAS ADORABLE. I kept feeling like I needed to hug her and, like, read all of the cute stories to her. (That is what small children are for, obviously.) She spoke, thought, and acted like a real ten-year-old girl, which impressed me because I think a lot of authors have trouble accurately portraying children. Many authors do a good job of writing about teenagers, so I guess it’s just harder to write kids – maybe because more time has elapsed since they themselves were children? I don’t know. At any rate, MELISSA IS THE ACTUAL BEST. I loved the secondary characters, too. Melissa’s BFF Kelly was so cute and sweet and understanding! Melissa’s older brother was kind too, and her mom… well, her mom took a little bit longer to accept her transgender daughter, but in the end it all worked out! I REALLY appreciated the positivity in this book – we need more like it! LGBTQ+ BOOKS WITH HAPPY ENDINGS ARE SO IMPORTANT TO ME. LGBTQ+ books for children are equally important. There aren’t many, though – I mean, there are SOME, but we need MORE. I welcome each and every new LGBTQ+ children’s and/or middle grade book! 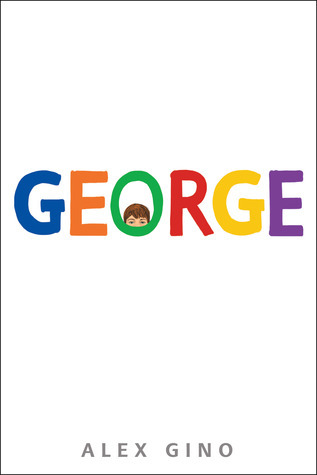 I loved that George was a long story… OK, at 240 pages it isn’t that long, but compared to some of the other LGBTQ+ children’s lit I’ve found (AKA picture books), it’s ginormous. I was so happy to find an LGBTQ+ book for kids that wasn’t over in 32 pages. Basically? George is amazing. AMAZING. After I finished it, my face hurt from smiling so much – not only because this book is RIDICULOUSLY ADORABLE and Melissa is a great protagonist, but because it makes me happy to think about all the little kids out there who are questioning their gender. They’ll have this book. They can grow up with it. The first YA novel with a trans protagonist – Luna by Julie Anne Peters – was published only a little over a decade ago, in 2004, and the first children’s and middle grade books with a trans protagonist appeared a few years after that. So George is still a big deal. I hope it makes a difference in the lives of many children. I think it will. This entry was posted in Books and Reading!, LGBTQ+, Nevillegirl's Adventures!, Non-Neville Posts, Uncategorized and tagged Alex Gino, book reviews, books, gender, George, LGBTQ+, middle grade, queer, reading, Reading The Rainbow, reviews, transgender. Bookmark the permalink. This is such a nice review! I would love to read a book like this. Would you mind checking out my blog? teamingwithbooks.wordpress.com I review books as well. Thanks! I took a look at your blog, but next time you might want to actually leave a comment that relates to the post you commented on, because this reads like a comment that’s trying to promote your blog and nothing else.